2019 Zane Smith #8 The Cosmopolitan of Las Vegas / Chevrolet Camaro NASCAR 1/24 diecast, by Action Lionel. The JR Motorsports #8 The Cosmopolitan of Las Vegas Chevrolet Camaro was raced by Zane Smith in the NASCAR xfinity Series, Boyd Gaming 300 at Las Vegas Motor Speedway on March 2, 2019. 2019 Zane Smith #8 The Cosmopolitan of Las Vegas / Chevrolet Camaro NASCAR 1/64 diecast, by Action Lionel. 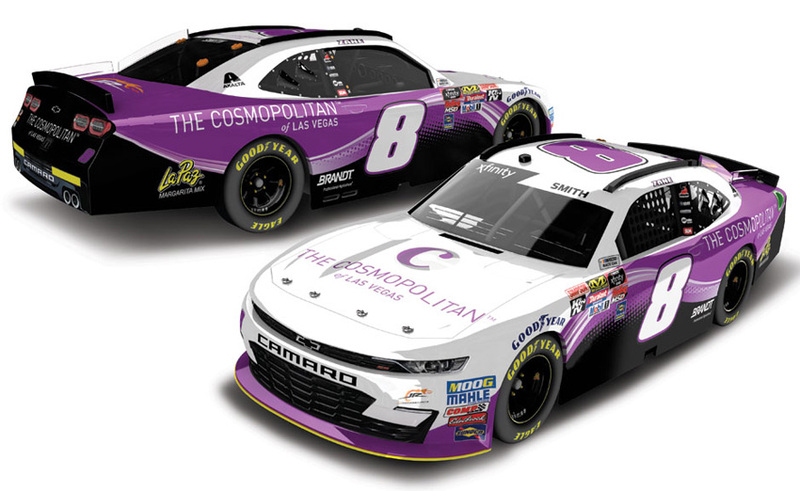 The JR Motorsports #8 The Cosmopolitan of Las Vegas Chevrolet Camaro was raced by Zane Smith in the NASCAR xfinity Series, Boyd Gaming 300 at Las Vegas Motor Speedway on March 2, 2019.